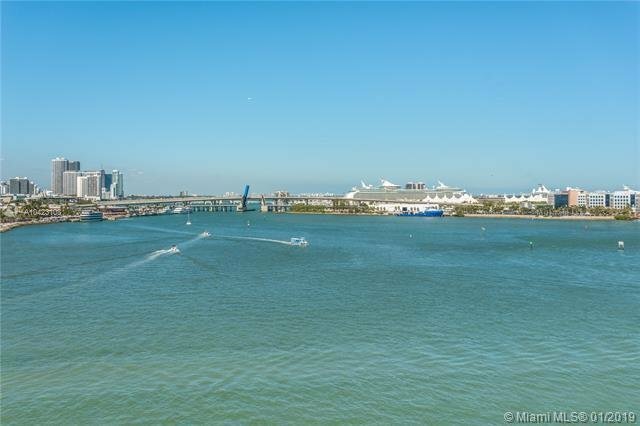 Stunning flow-through unit with unobstructed water views is in immaculate updated condition and features large covered terraces and balconies with views all over Miami, The Port, Key Biscayne and the Beaches.Polished marble floors, quality construction and finishes throughout. Great room has amazing vistas to the Bay. All white updated kitchen with breakfast area and adjacent terrace enjoy Miami River and downtown views. Separate master suite has large walk-in closet, double sinks, separate shower and tub. Every window or door in this sky home has an amazing view! Two parking spaces, very well run building.Unit includes three separate storage units. Two parking spaces.